"St Germaine came to me December 21, 2018 Friday morning and wanted me to start a group mentoring over Zoom with as many people as possible. The purpose of the group mentoring is to get aligned with the Ascended Masters in our mental thoughts, intent, emotions, and clearing energy in our auric field which is chaotic and not serving and slowing our evolution. Yes, St. Germaine also said that you can hook up a projector to your computer if possible and invite people to your home or office for free because it will shift the lives of those who participate. We can interact and you will be able to ask questions. Scott Werner - (previous MD – now doing better things)"
To learn more listen to the call recordings or come on Live calls with Shashi Langham, Host & Founder of Transformation To Joy Global Telesummit. To listen now click here or on the button below . Week 1 January 8, 2019 Learning to Pray, Meditate and Manifest your dreams. Know your Physical Body, to Detoxify and Clear negative energy and bugs slowing your creative abilities. What does the Crown represent? Daily active engagement in building your success toward your goals Intuitive guidance in fulfilling your divine purpose. Identify specific goals to optimize your potential. Support in developing your own relationdship with the Ascended Masters. 100% Commitment in the Daily/Weekly accountability system and 12 Mentoring sessions. Act at a high level of respect to yourself and others. This is an experiential training which will stretch you beyond your current abilities. You could experience struggle, overwhelm, and pressure. Action steps and growth activities will be part of your training. You will plan and set benchmarks and goals. Scott Werner is not a therapist, counselor, psychologist, financial or legal advisor. With this guidance you might improve your life and future. In addition to your group training in person or over Zoom every week for 12 weeks (approx. based upon schedule availability) with your enrollment, Access to Welcome video training on youtube.com and 11 total extra trainings, which will inspire, instruct, invite you to expand your life and soul awareness, preparing you for your brighter more positive future. Tracking material for Daily Action steps and weekly success activities will be provided by e-mail. 20% Discount on all herbs purchased from Health & Longevity Inc. during training. Expert video training on creating a Vision Board which will assist you with your spiritual visualization and accomplishment of your goals. Prayers and Blessings from the Ascended Masters will be given at the end of each Group Spiritual Mentoring Session. Harness your power as a co-creator of your life. Increase personal awareness, confidence, and potential. Improve your relationship with your body, mind, and spirit. Gain mastery over your thoughts and emotions. Receive instruction of proven skills for success. Strengthen your commitment to your soul’s progression. Raise your vibrational frequency and health. Tools to prepare you for the life you’ve always wanted. FDA Disclaimer - Dr Scott Werner no longer practices medicine and he does not prescribe or diagnose any medical conditions. The statements on this page have not been evaluated by the FDA and are not intended to diagnose, cure or prevent disease. Please consult your physician before beginning any diet or exercise program. If there is a change in your medical condition, please notify your physician immediately and stop taking or using the product. Scott had two near death experiences when he was young. The first time was at the age of 13 and the other at the age of 20. Each time that he came back into consciousness, he returned with the inner knowing that his role in this life is to assist in the “healing of humanity,” and his “gifts” were enhanced to the degree that he intuitively sees the physical body. In a dream that night, he was told that he would “heal his own cancer.” He did just that by using parasite cleanses, changing his diet and releasing emotional blockage in his life. He began studying herbs, and there properties. This started his extensive path into alternative healing methods. Using parasite cleanses, herbs, toning, nutritional support, and detoxing the body. Scott Werner received his Medical degree from Saint Louis University School of medicine in 1986, specializing as an OB/GYN and general practitioner for 14 years. He practiced at Good Samaritan medical center in Phoenix, Arizona. Scott was recognized in advanced laparoscopic laser surgery and Gynecological laser surgery. He later moved his successful medical practice to Utah and during his career he delivered over 2000 babies successfully. Scott used Alternative/complementary techniques and has seen thousands of patients. Scott used herbs, homeopathic and energetic remedies and Chelation therapy in the improvement of health and wellness in “untreatable illnesses and dis-ease”. He relinquished his Medical license in Utah and Arizona and left traditional medicine in 2005 and opened an herb store in St. George Utah. 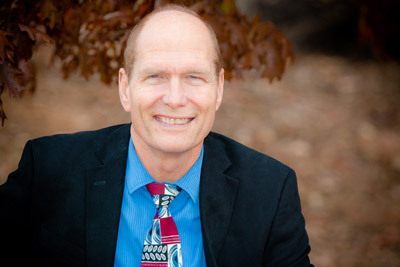 Scott has lectured extensively to private and professional groups throughout the United States educating them about multiple healing modalities, and herbal products. He is very gifted, incredibly insightful, informative, animated and entertaining. He has lectured on many health subjects ranging from Parasites to virus and from nutritional support to healing energy blockages. He has thousands of clients all over the world, who have sought him out for his knowledge of these process’. He has also lectured many times for the annual conferences held through Systemic Formulas. Scott truly believes and is of the opinion, that all “dis-ease” is a combination of too much toxicity and not enough nutrition in the body, coupled with emotions that deplete our health. He has a very spiritual understanding to the approach to wellness and has worked extensively with world class healer, Katherine Beck. He has learned many healing methods and techniques.